Did you know that February is National Wild Bird Feeding Month? My daughter, Lily, is especially fond of wild birds and loves to put seed out for them. 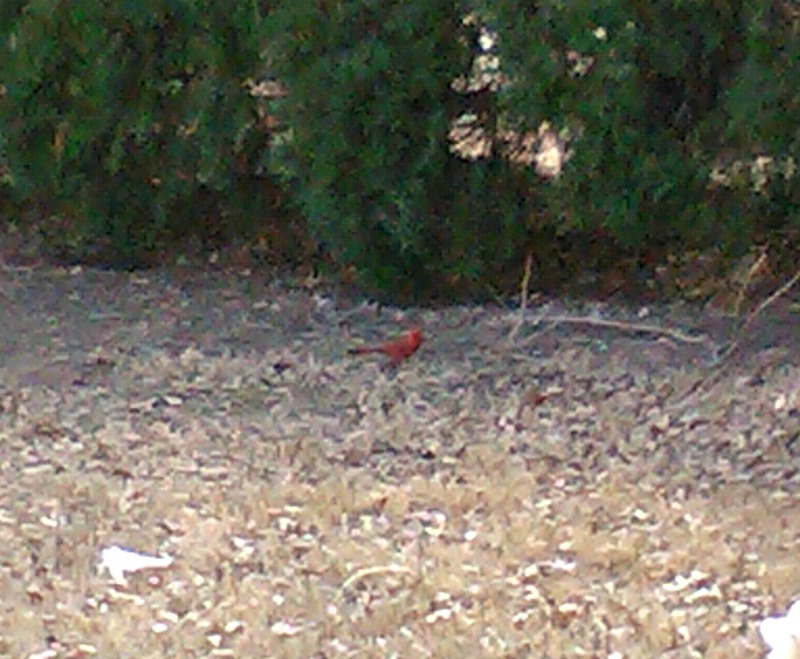 We have all kinds of wild birds that visit our yard as well as the nursery. My family has owned a plant nursery called "Snooper's" for well over 25 years and our house is on the same property as the nursery. All the plants and fruit trees seem to attract a lot of birds. We have mockingbirds, woodpeckers, hummingbirds, cardinals, doves, grackles, and all kinds of other birds that I don't know the name of. Our favorite has to be the cardinals. One year, we watched a family of 3 baby cardinals grow up. I've even learned how to tell the difference between young cardinals, daddy cardinals, and mommy cardinals. 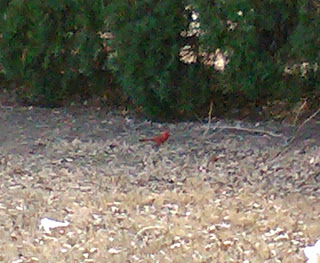 Daddy Cardinal in the yard. Feeding wild ducks at the park next door. Two mockingbirds right outside our window. According to BirdFeeding.org, "This national event was created to advance and publicize the wild bird feeding and watching hobby." Bird watching is a popular hobby for lots of people. Many people place bird feeders in their trees and bird baths in their yards for the enjoyment that comes from watching these wild and graceful creatures flutter around. Do you enjoy bird watching? What type of bird frequents your yard the most? I do enjoy the birds, but I'm not a good bird feeder. My favorites are the blue jays. They are so stinkin' smart. We loves to watch birds! Sadly, our new home doesn't have many windows for us to sit in. Maybe mama will get us a birdie DVD sometime. Hi Ann, thanks for visiting and commenting on my blog :) You sure have some interesting birds visit! I live on the coast in the UK (well, let's face it, we have relatively a lot of coast!) so we get sea birds mostly, gulls, cormorants, dippers. We also see smaller birds in the garden, when Austin is not around, as well as buzzards and crows which terrify him! Thanks for visiting me too Austin! I will have to stop by your place again :) I have never heard of cormorants or dippers. Will have to look them up. Robins are pretty cute. And I have no idea what a tities is lol. I'll have to look that up too. Those sound like they might be tasty! We love to bird watch. We get all sorts of wild and beautiful birds here and it's fascinating! Our Mom loves to watch birds and feed them, but we can't do that here since we have soooooo many cats living here. We don't want the cats to catch the birds. So she misses that very much. We still have birds here though. That's pretty nice of your mom to keep the birds in mind. Thankfully, my cat never liked to hunt birds... just rabbits, mice, and rats. Lol oh Misaki... I guess you have to make sure there are no intruders in your yard! There are so many beautiful birds out there. I'm discovering new varieties on pinterest etc all the time. Hvae you ever seen the birds or paradise? Oh my gosh they are gorg! Those ones are very pretty. One of the prettiest birds I've ever seen in person was an Australian Rosella. We love bird watching too and since our ferals are well fed they have been ignoring our birdies. I hear a lot of anti-feral people saying they are bad for wild birds. I never really thought of that though! I think that's another great reason to help out the ferals. I love bird watching...and chasing (depending on the type of bird, that is). I am very nice to the doves in the backyard. One year they nested and laid eggs in the tree just off the back patio and we atched the mom and dad keep the eggs safe until they hatched. It was awesome. Of course, we have those crazy mockingbirds too. One of them even sings in the middle of the night - he drives us nuts! I really hate the vultures that swoop over and I bark and chase them. They are not allowed in my yard at all. And...every once in a while the hawk visits. He is huge. Have a great weekend! Happy bird-watching! I remember when my AC broke last summer, I had to sleep with the window open and a mockingbird was right outside in the bushes chirping ALL NIGHT!! I was so annoyed that I got out of bed and threw something in the direction of the bushes. He stopped... but not for long lol. I wouldn't want the vultures in my yard either. We have some hawks too. And owls! I am not a bird watcher, but now and then I see a cardinal or an eastern goldfinch flying around the field by my house. 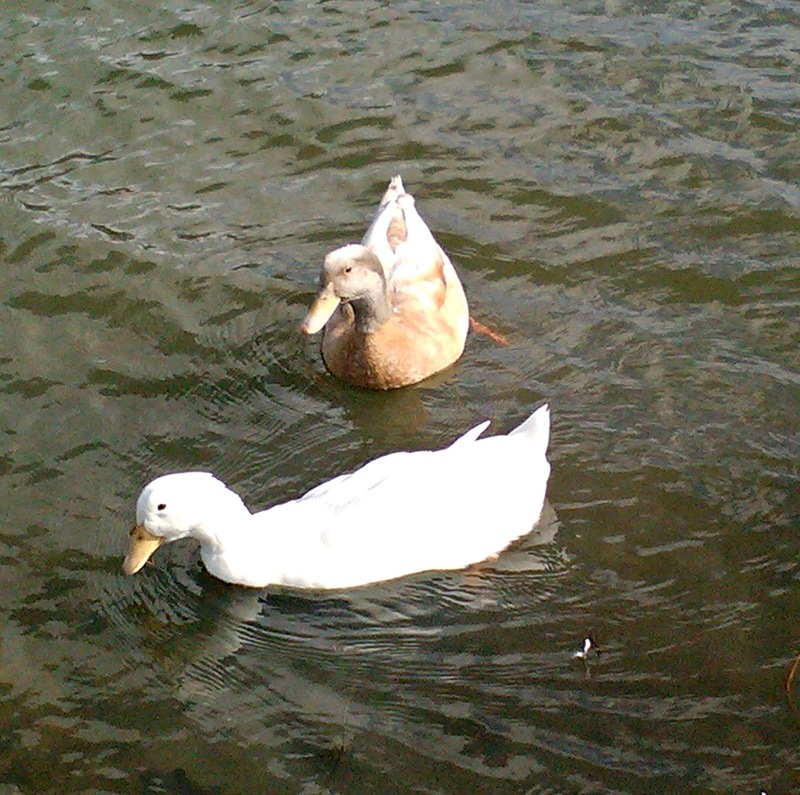 They're stunning compared to the filthy disgusting geese that have taken over the entire neighborhood. I'm sorry if anybody is a fan of the Canada goose, but they have coated every surface with their droppings, so there's barely a place to step. Ugh. Sounds kind of like grackles but geese are much bigger. Plus, I heard geese can be mean sometimes. I've only ever handled a baby goose so he was pretty nice. Sounds like some good bird watching Goose. 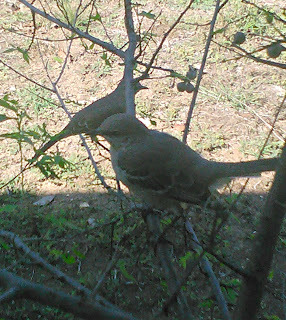 Mockingbirds are everywhere here! They are the Texas state bird but I don't think they are very pretty or special looking really. They are very annoying (see above reply to Oz's comment!) and sometimes they will swoop down to attack you. We enjoy watching the birds in our yard. We have a beautiful hawk that visits often. W also get a lot of hummingbirds and once in a while some beautiful... I think they are orioles. We also get a lot crows flying by. Noisy, ol things!